Hi! I’m Nick Boyle. Thanks for stopping by. Why choose Allscape Inc. for your landscape need, because of our long company history, our strong work philosophy, and free estimates. Allscape Inc. has published many landscaping articles that help home owners make better decision. I started Allscape Inc. in 1997 with the vision that one day I would have a full service landscape company. I started out by installing, and servicing irrigation systems, and low voltage lighting. Over the years the company has grown; currently we are close to 1000 satisfied customers, almost 900 lawn sprinkler customers and over 500 landscape lighting customers in homes all over the Northern Illinois locations. We solve lawn drainage problems. We are a full service landscape drainage company. When our drainage experts do your drainage system design, and installation your water problem will be gone. Out door sump pump pits can move water from the lowest spot on the property and send it to a desirable spot to get rid of it. Corrugated drain pipe is used to collect water from gutter down spouts, around window wells, sump pump ejection, and low spots in the yard. French drains are one way to solve drainage problems. They move the water from the surface to a gravel filled hole in the ground. 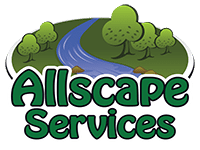 Allscape Inc is a full service landscape and lawn sprinkler company in northern Il. We provide sprinkler turn on service and RPZ certification in the spring,,and blow out service in the fall. Not every company builds a lawn sprinkler system the same way. There are many ways of building that can affect the quality of an irrigation system. There are 2 good reasons to use drip irrigation; first, when dealing with low water pressure because it uses very few gallons per minute. And second, when the water supply is from a well with high iron content, it will prevent the orange staining of all nearby surfaces. Illinois require sprinkler system to have an RPZ back flow device, be inspected, and certified every year. We design and install landscape lighting using a combination of lighting techniques, like Architectural lighting, Deck lighting, Patio lighting, Moon lighting, Path lighting and Water lighting. Our outdoor lighting system add security. Allscape repairs and maintains, low voltage lighting system. Our service techs are familiar with LED landscape lighting, Halogen landscape lighting, Fiber optic landscape lighting, and Laser landscape lighting. We can convert your lighting system to LED lighting, drastically reducing power usage. We create a truly beautiful landscape lighting that comes with a 5 year guarantee on parts and labor. Allscape service techs install new lights, repair old lights, trouble shoot electrical and change all bulbs. Our landscape programs have maintenance flexibility to meet the needs of any customer. We provide edging, trimming, pruning, aeration, dethatching, and spring and fall clean ups. We do not provide grass cutting. No matter what your landscaping needs are, you can count on our professional landscaping crews to give your property the care that you require. Allscape is one of the few full service landscapers that pay attention to details. Allscape design time is always free, as long as we do the installation. You can send pictures with a plat of survey, and we can make a 3D design representation of your project so you can see your design on a computer in 3d like a video game. Allscape Inc is your best choice for Landscape design, Hardscape design, Water Feature design, Lawn sprinkler design, Deck design, patio design, drainage design and landscape lighting design. We do residential landscape designs and commercial landscape designs. The best part of using Allscape Inc is that we know how to do it all, so there won’t be any complications with underground systems on your property; like Landscape lighting, Dog fence, Cable TV, and Lawn sprinklers. Allscape can design, install, repair, and maintain any water feature. We provide fountain and pond opening, closing, and cleanings. We offer chemical advice and implementation. We are the Northern Illinois water feature experts. We create water features, which include pond design, waterfall design, and fountain design. With our trained service technicians we service ponds, waterfalls, and fountains. Ponds and Fountains are a very popular water feature. They are used to enhance entrances, decks, patios, ponds, lakes, and gardens. Larger floating fountains are used in ponds, and lakes to oxygenate the water, deterring algae and mosquitoes. If you want to bring the outdoors into your life style, nothing works better than a custom designed deck or patio. Decks and patios add value, because they add living space. We are experts in all forms of hardscape. We do deck design, patio design, walkway design, retention wall design, and driveway design. Walkways and driveways are the paths to our homes. Everyone that comes to your house sees them first. Even Before they ever step into your house. Its, no wonder why people spend so much money on the way they look. Allscape can design, install, repair, and maintain any brick or stone patio, sidewalk or driveway. We also build and repair wood, concrete, and stone retention walls. Allscape can design, install, repair, and maintain any; wood deck, composite deck, aluminum deck, paver brick patios paver brick walkway, paver brick driveway, flag stone patio, flag stone walkway, blue stone patio, blue stone walkway, cut stone retention wall, granite boulder retention wall, stone retention wall, or wood retention wall. Why you shoud choose Allscape for your next landscaping project. Allscape designs, installs, repairs, and maintain any thing on your property. Hi! I’m Nick Boyle. Thanks for stopping by. You should choose Allscape Inc. for your landscaping needs, because of our long company history, our strong work philosophy, and free estimates. Allscape Inc. has published many landscaping articles that help home owners make better decision. Over the years the company has grown; currently we are close to 1000 satisfied customers, almost 900 lawn sprinkler customers and over 500 landscape lighting customers in homes all over the Northern IL. Let Allscape design your next landscape project. You can count on Allscape to do a quality installation. And as always you will receive a five year warranty on parts and labor.